I need to locate the safety switches for testing but cannot find a manual that shows the exact locations of the switches and what they look like. In need of adult supervision, thanks. I need to locate the safety switches for testing but cannotfind a manual that shows the exact locations of the switches and what they look like. In need of adult supervision, thanks. My Massey has 3 safety switches that I can think of, there is a switch located on the bottom of the seat that indicates if you're sitting on the tractor. 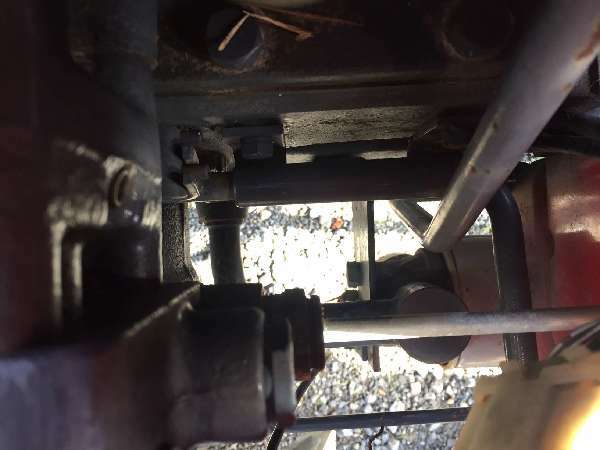 There is another switch on the high, low, super low shifter that indicates if the tractor is in gear, mine is located under the deck where the gear engagement lever enters the case. Then another switch that indicates if the PTO is engaged but I'm not sure where exactly that is located but you should be able to trace the PTO engagement lever and locate it. If your Massey has a hydrostatic drive then look for the gear engagement switch look around the gear engagement lever.